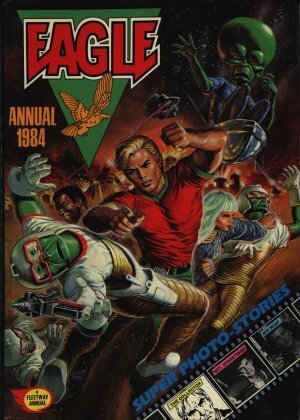 Eagle Annual 1984 follows the formulas of the old annuals and the new series with stories, cutaways and the regulars such as Dan Dare. Harris Tweed pops up again, but only as a sample of past annual contents. The Collector suffers the Makul Curse!